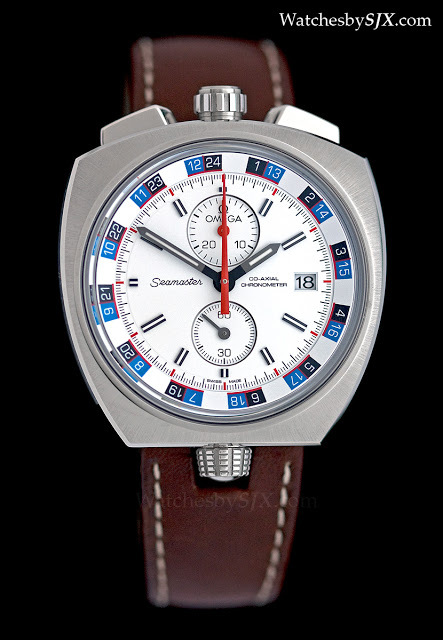 Getting its name from the distinctive position of the crown and pushers, the seventies-era Omega chronograph has been reissued as the Seamaster Bullhead limited edition, retaining all of its vintage charm with a modern twist. 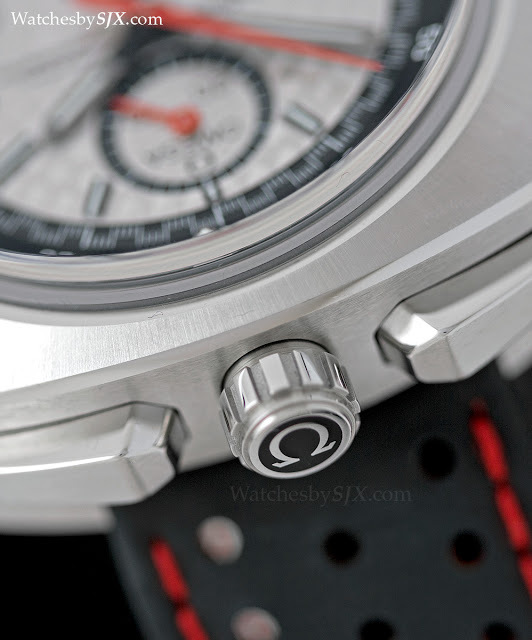 Unveiled in 1969, the original Omega Bullhead chronograph was a creature of the seventies, from the chunky cushion-shaped case to the position of the crown and pushers. 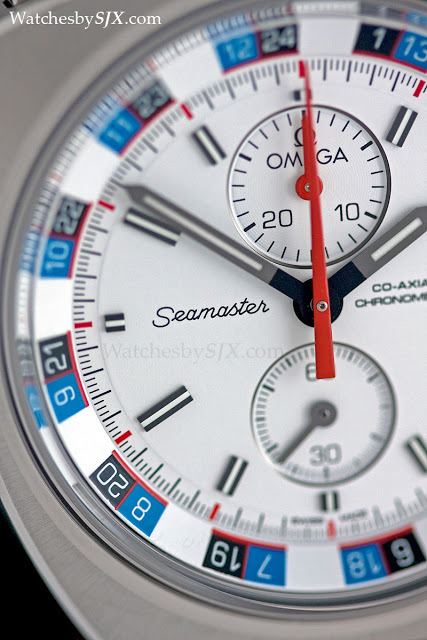 The originals are amongst the rarest and most pricey Omega chronographs. 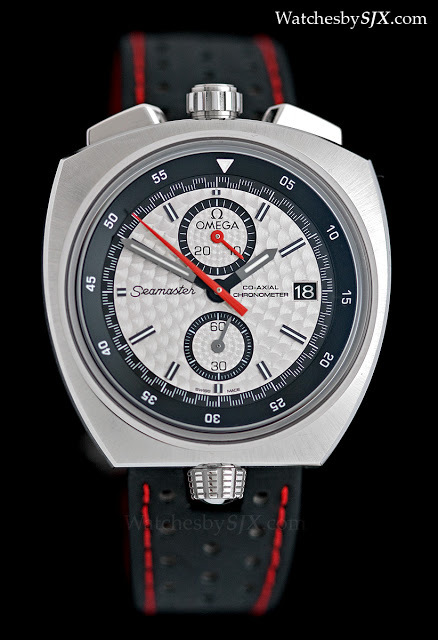 Omega has taken the key elements of the original Bullhead, sprinkled on some modern watchmaking amenities, to create the Seamaster Bullhead limited edition. Nicknamed “bullhead” because the vertical orientation of the pushers resemble the horns of a bull, the Bullhead chronograph is not exclusive to Omega. 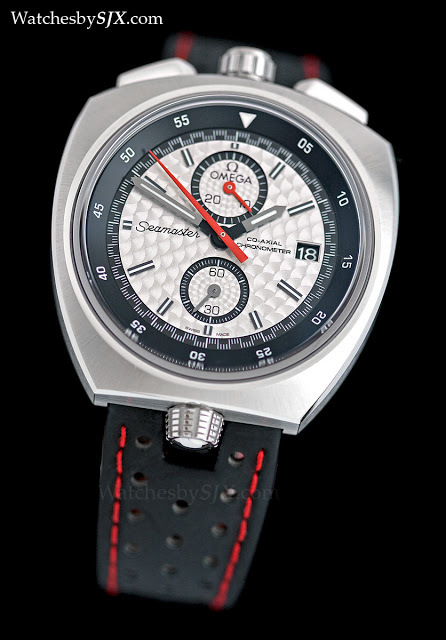 The term is generic term for such chronographs, most of which date to the seventies and were inspired by sporting stopwatches which had the same layout. 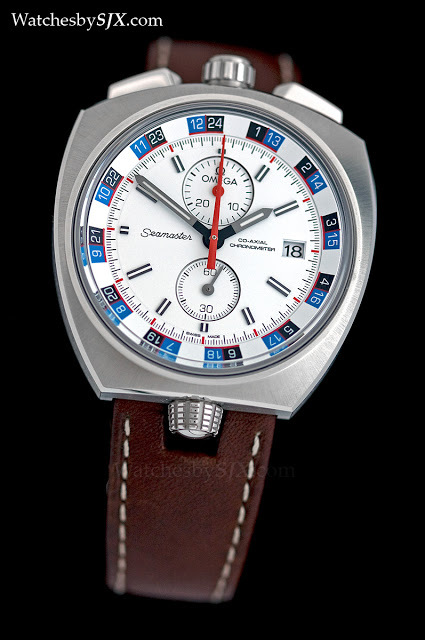 The modern Seamaster Bullhead sticks closely to the classic formula save for one major change – the pushers are now rectangular, instead of round as on the originals. There is less resemblance to a bull’s head, but the rectangular pushers are more attractive and suited to the cushion case. The case large, heavy and chunky. Despite its size, the details are refined, with a radial brushed finish on the front, and polished bevels on all the edges. In between the pushers sits the winding crown, which has a bayonet twist lock, secured by a single turn. 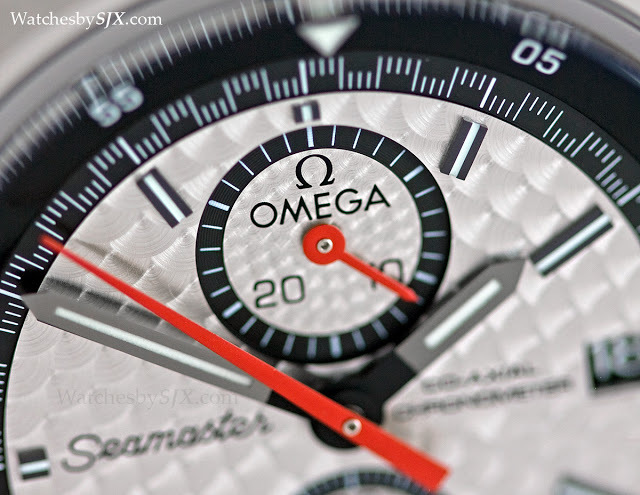 That means the Omega logo on the crown is always facing the right way up. 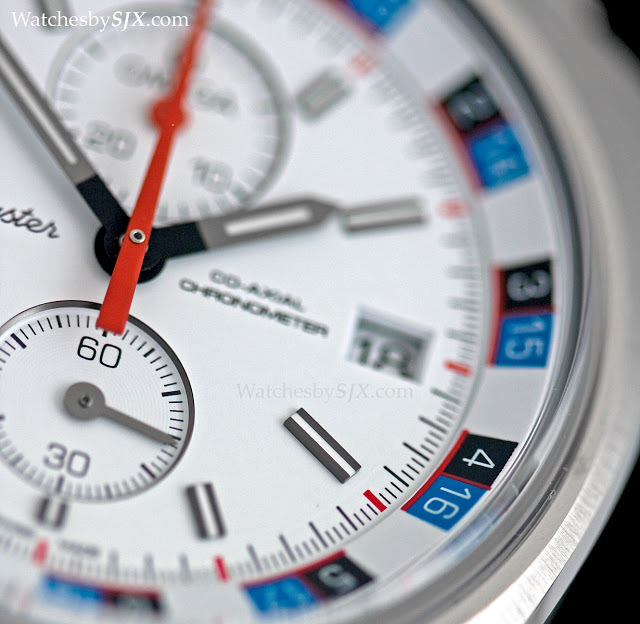 And at six o’clock is the crown to rotate the inner bezel around the dial. 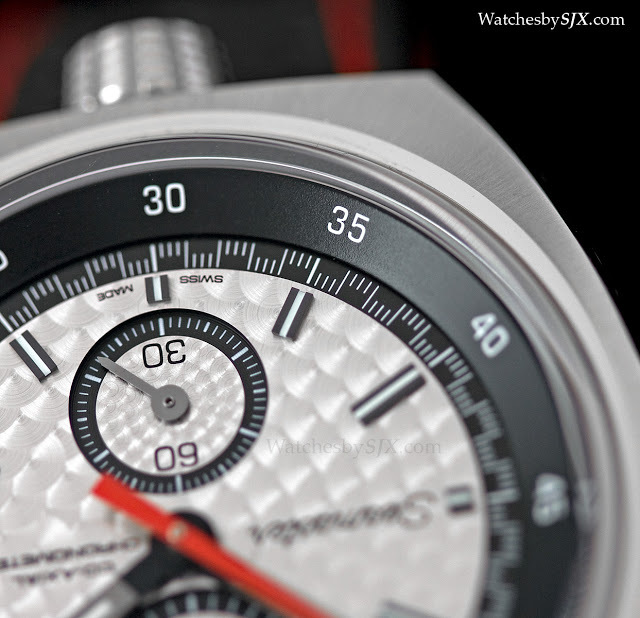 The constant seconds sub-dial is at six, and the elapsed minutes counter for the chronograph is at 12 o’clock. 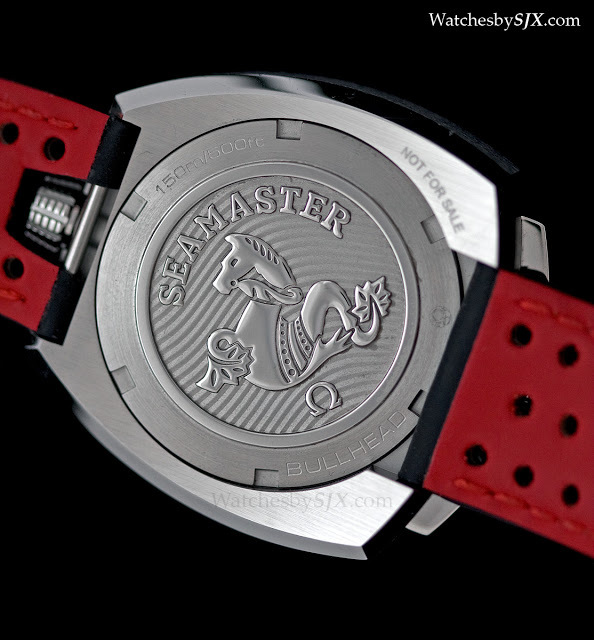 The case back is stamped with the Omega Seamaster logo in relief. Inside is the Co-Axial cal. 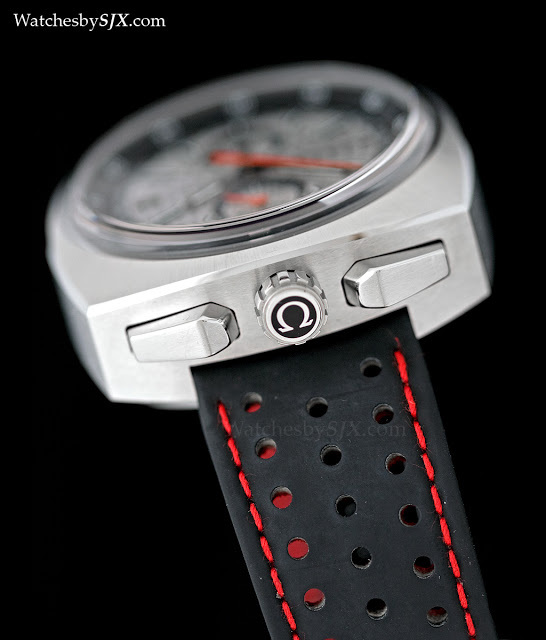 3113 movement, which is automatic, with a column wheel and vertical clutch for the chronograph mechanism. 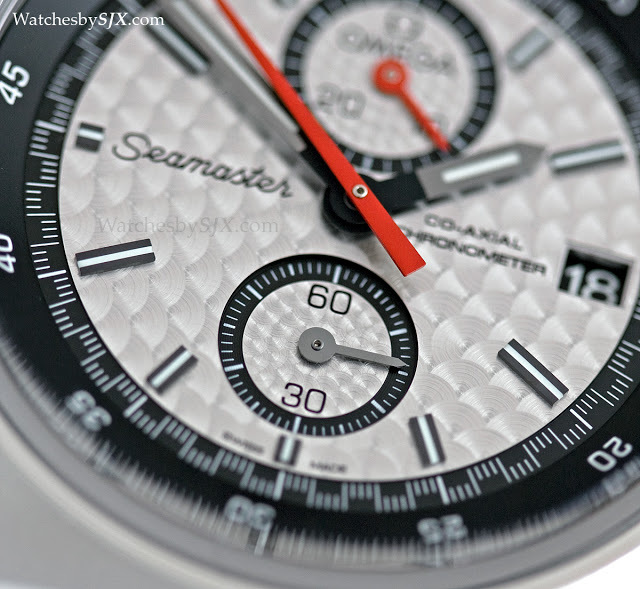 Three dial variants for the Seamaster Bullhead are available, each limited to 669 piece. 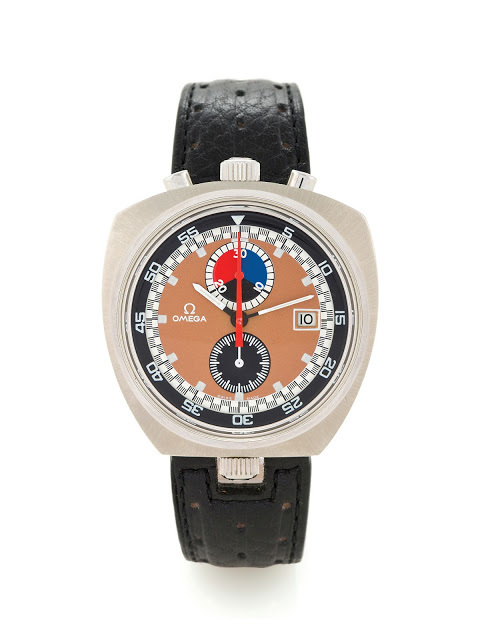 The version with the white dial most closely resembles the seventies original. This has an inner rotating bezel with a 24 hour scale. 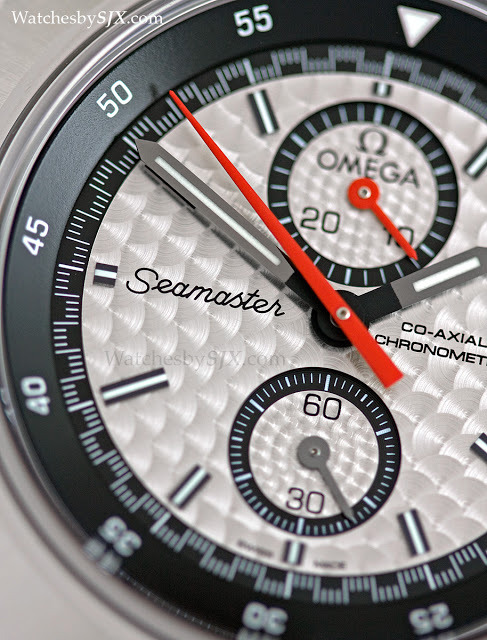 The second version has what Omega calls a “rallye” dial, a silver finish decorated with perlage. 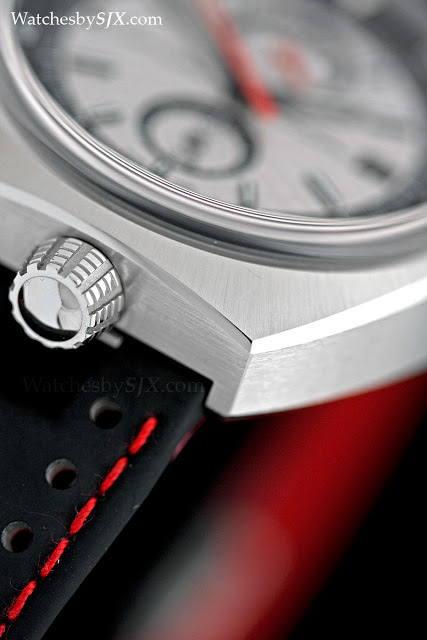 Though it appears simple the dial has a particularly noteworthy detail. 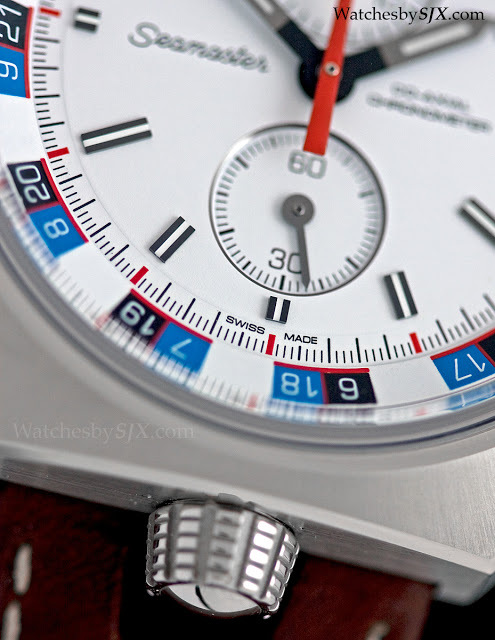 The size of spots of the perlage is larger on the main dial, but on the sub-dials the spots are correspondingly smaller in size, demonstrating an admirable attention to detail. 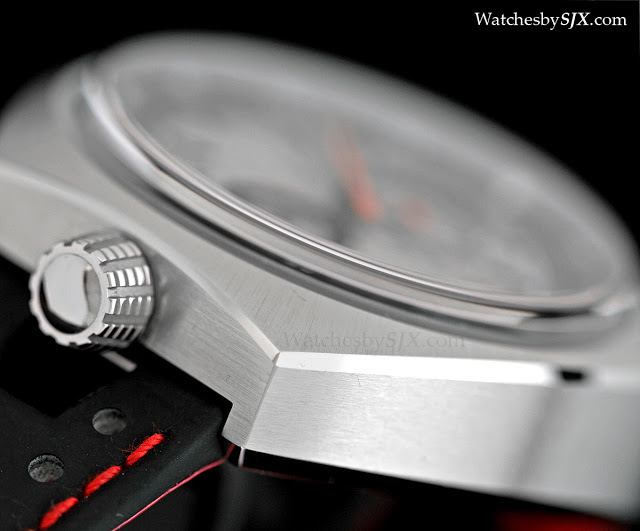 The rallye dial comes with a 60 minute inner rotating bezel.